VK-2045 20 Ft. Magellan Modular Hybrid Display Get a jump on your competition with the Magellan line of Hybrid displays from Classic and see what curves can do to feature your product. 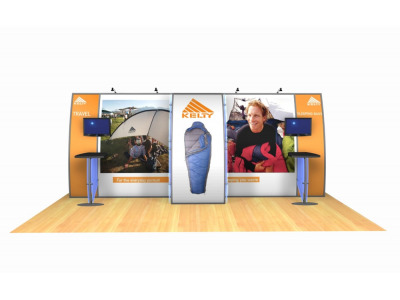 Be prepared to be astonished at the effect that the large format dye sublimation graphics, and stylish extrusions have in presenting your product and vision to your potential clients at your next show. 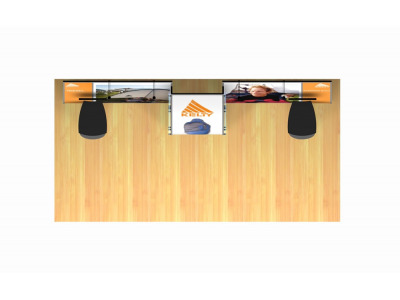 With Magellan, you can ask for and get much less from you new custom modular hybrid displays. 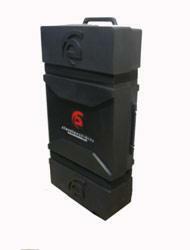 The Magellan Miracle weighs less, costs less, and assembles in less time than other portable exhibit displays. 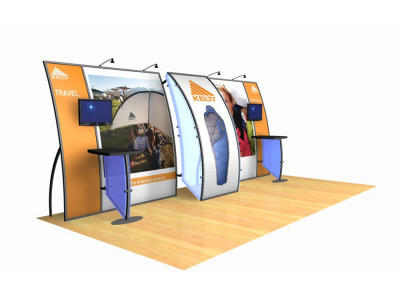 All Magellan's are created from MODUL extrusions with fabulous curved pieces and large dye sublimation graphics for a look that will bring envy to your competitors on the show floor.The Magellan can be purchased in 10 and 20 foot increments. 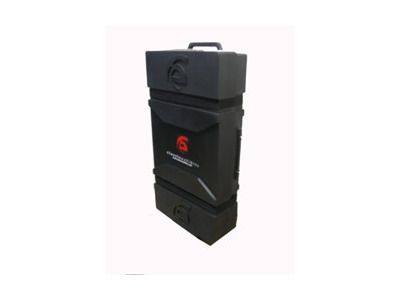 Accessories include portable workstations, monitor mounts, halogen lights, and pedestals. 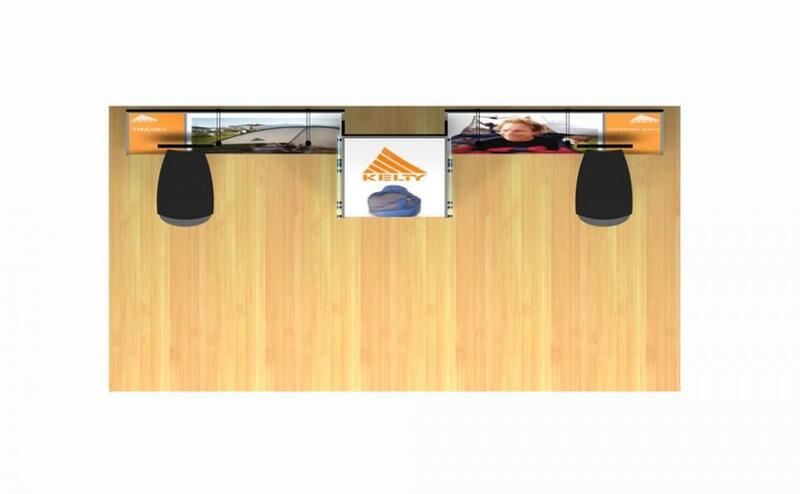 Very few things in life are quite as sure as change, which is why having a trade show flooring supplier like Classic Exhibits has helped so many distributors weather the difficult economic times through the development of so many new cutting edge products. What moves did they make to succeed in a time where little new innovation was coming out in the trade show industry? They happen to notice that certain aluminum shapes that they were already purchasing at that time, had a very low cost per linear foot as opposed to others, and concluded that those shapes should be considered for future product development. 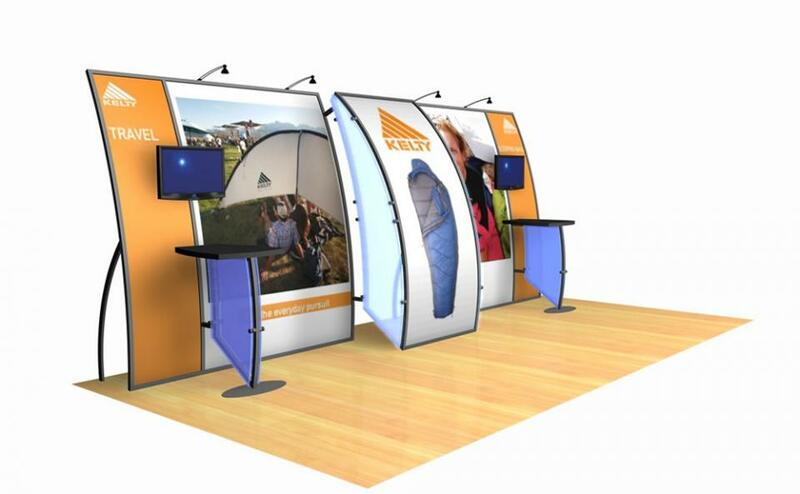 As time went on, they were able to develop from their original plans, a whole handful of creative new exhibit products with a variety of price points to appeal to a whole spectrum of custom modular hybrid display customers. 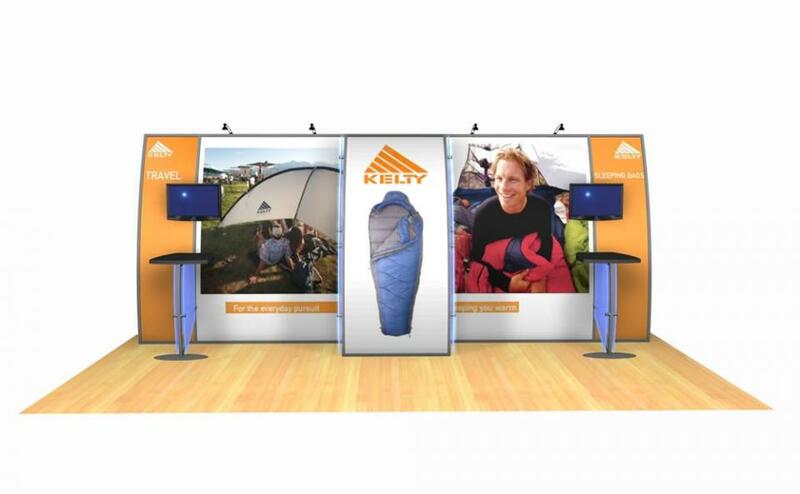 You may have heard of some of the exceptional new lines that Classic Exhibits developed recently, starting with the Perfect 10 and Magellan Miracle tension fabric display systems, followed up with the Sacagawea custom modular hybrid display system. For the resellers of Classic Exhibits products, the future looks bright because of the creativity and ingenuity on Classic’s part, and some great marketing through a program they created called exhibit design search, which is an online search program for trade show exhibits which we utilize extensively on the ShopForExhibits.com web site. 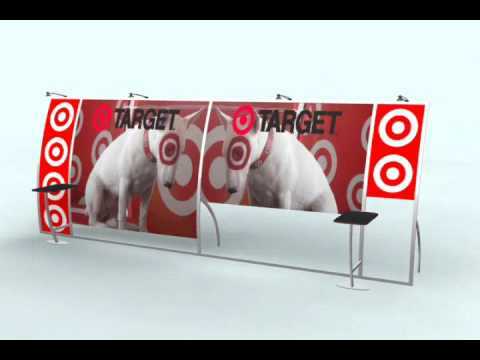 One of the front runners in the online retailers of trade show displays, ShopForExhibits.com, continues to expand what they make available to their U.S. clientele, through their display rentals program which was begun only two short years ago, and the new tension fabric products. To keep pace with the business activity they project in the future, ShopForExhibits.com has just gone live with an entirely new web site which delivers prospective customers with an elevated level of product information along with product videos and product templates. Many challenges lie ahead for marketing professionals in this frantic paced industry, which is often confronted with reacting to a variety of business downturns, due to the uncertain business climate. Accomplishing success in any business climate requires a high level of product knowledge and selling skills in order to successfully be able to bring the next generation of trade show products such as silicone edge graphics, to the exhibiting business community.